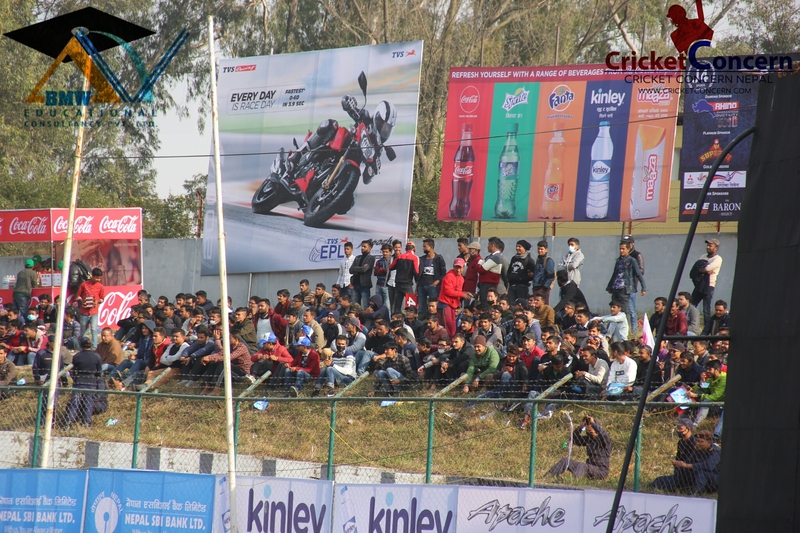 Pokhara Rhinos posted modest total of 132 runs in respective 20 over’s. Winning the toss, Patriots opted to field first and managed to stop Rhinos on the score of 132 runs with the help of a wicket each from Sandeep Lamichhane, Lalit Rajbanshi and Rashid Khan respectively. Sunil Dhamala lead the Rhinos innings and take their total to respectable total. He hung in one end and scored 70 runs from 62 balls with two fours and five sixes at the strike rate of 112.90. Rajesh Pulami provided him a perfect company in middle over’s and shared 66 runs partnership. Rajesh scored 32 runs from 32 balls itself with the help of two fours and a six. Lalitpur Patriots needs 133 runs to win in 120 balls with a run rate of 6.65.